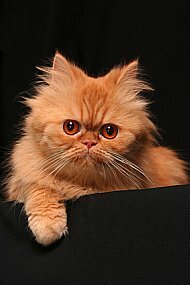 Cat behavior problems can be very similar to an acting out child, minus the screaming and tears. Although cats are usually easy going housemates who are usually content when given food, fresh water, snacks, play time and some affection, a unhappy cat who wants to express their displeasure can add frustration and a big dose of stress to your household. Although negative cat behaviors can be difficult to deal with, due to our cats inability to verbalize their emotions, physically acting out is the only way that they can express that they are unhappy. Below we will discuss several common cat behavior problems and how to deal with them. Cat spraying is a cat behavior problem where your cat urininates in different areas of your home. Although it's more common for males to participate in this behavior, female cats also spray. Cats are very territorial, they like everyone to know what's belongs to them, and sometimes use their urine to send this message out loud and clear. This cat behavior problem tends to be exhibited more in multi cat household where it's harder to claim a territory. Cat spraying can also be caused by stress such as; moving, a new baby, where the cat feels the need to mark their territory. Neutered and spayed cats are less likely to spray, they also have commercial products like Feliway®, that can be bought at your local pet store, which helps to reduce and even eliminate feline spraying. Cleaning the area where your cat sprayed with an ammonia free product, may also discourage your cat from urinating there a second time. To find out how to stop cat spraying read How To Stop Cat Spraying In Your Home. Although cat scratching can sometimes result in the damaging of your furniture, it is a natural instinctive behavior in cats, thst helps to mark their territories and keep their nails healthy. Cats also scratch as a stress reducer which helps to calm them. Cats have to be taught not to scratch furniture, by providing an alternative item for them to scratch. If your cat is scrathing your couch, buy two or three scratching posts that has similar material as your couch, or make your own. 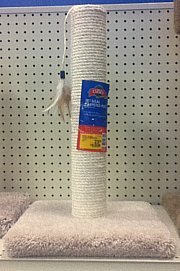 If your unable to find a scratching post with fabric similar to your couch, then you will most likely be able to buy a piece of fabric at the fabric store, just like your or similar to your sofa, and attach it to your cat's scratching post. Place the post in two to three visible areas in your home and then place some catnip on the post to encourage your cat to use it. 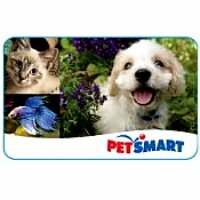 You can also buy products such as Feliway® that can be sprayed on your furniture, it helps to calm your cat and reduce cat scratching. Cats usually scratch furniture because they enjoy the feel of the material, as a way to stop this cat behavior problem, cover the furniture with a different texture that your cat may not like, such as double sided tape, that won't harm your cat, or foil. To reduce cat sracthing you have to be consistent, encourage your cat to use their scratching post with catnip and even by lightly scratching it to show your cat, give your cat both verbal praise and cat treats after they use the post. 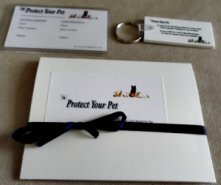 Some cat owners also use noise makers and spray water at their cats when they see them spraying,however the noise makers may only surprise and stop your cat for a moment and you can't spray water when your not home, these may be methods to consider only after trying the others listed above without any success. Your gently petting your cat, he/she is purring and looks content. You continue to pet, thinking that you deserve the cat owner of the year award, suddently your cat bites you, ouch. What did you do wrong? Your cat was purring and looked so happy a second ago. Although cat biting is a cat behavior problem, it is also a means of communication for cats, a painful one, but still one. Now I know you cat could have just gotten up and walked away, your cat wanted to verbalize to you that although they appreciate the petting session, it's enough. Cats also bite when their afraid or ill. Your cat will usually display other signs during a petting session before biting you, these signs include wagging their tail back and forth, shifting and moving their body around,flicking their ears, or stop purring, but sometimes it's easy to miss those signs, I know I have. Cats also bite as a way of playing, especially if as a kitten human hands were used as toy. Due to the fact that cat biting can be a result of your cat being ill, if your cat engages in biting behaviour for no specific reason, you should take your cat to the vet for a check up to rule out a illness. Make sure your cat has enough cat toys that he/she can bite instead of biting you. Watch for signs, listed above, when petting your cat, your cat may be telling you that they've had enough petting through their body language. To find out more about cat biting visit How To Stop Cat Biting. 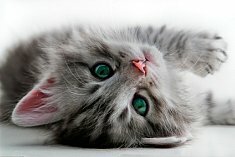 Cat behavior problems such as your cat urinating outside of the litter can be very difficult to deal with.One of the first things to consider is that your cat may not be using the litter because they are ill, they may have a urinary tract infection, so it's important to take your cat to the vets to rule out any illness. Cats may sometimes stop using the litter during a stressful time, such as; moving, new baby, separation anxiety from owner, or another pet coming into the home. Make sure the litter box is clean, cat's will eventually stop using a dirty litter box, and will find somewhere else in the home to use. Place the litter box in a noise free private place, cats like humans like privacy when using the bathroom. Provide your cat with extra petting and play session, this will help to comfort your cat and reduce stress. Have multi litters if it's a multi cat household, so that there's always a clean litter. Clean up the area that your cat is using as a litter box in your house and spray it with a product like Feliway® to discourage your cat from using that spot again. To prevent this cat behavior problem try and restrict your cat from going back to the area in your home that they are using as the litter, close the door or put up a child safety gate. Place a litter box on every floor, the more available the litter box is, the more likely your cat will use it. Make sure to give your cat both verbal praise and a treat whenever he/she uses the litter, which encourages your cat to use the litter and helps to eliminate this cat behavior problem. Sometimes your cat may not be using the litter box because they don't like the type of litter your buying, to find out more about different types of cat litter read Cat Litter: Pros And Cons Of The Different Types.